After hosting sporadic tournaments over the last few months, game developer Square Enix hosted a special Dissidia Final Fantasy NT invitational at Wednesday Night Fights in Santa Ana, California. The players—an eclectic bunch comprised of traditional fighting game competitors, longtime Dissidia fans, and online personalities—put on quite a show, even if there’s still room for improvement in how the game is broadcast. 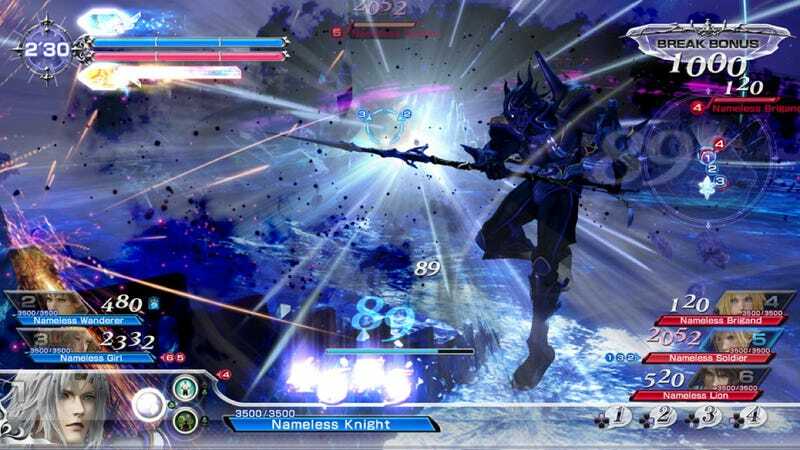 The Dissidia franchise manages to stand out in a crowded fighting game genre by giving fans the opportunity to play as their favorite Final Fantasy heroes and villains in unique battles that focus on mid-air combat. 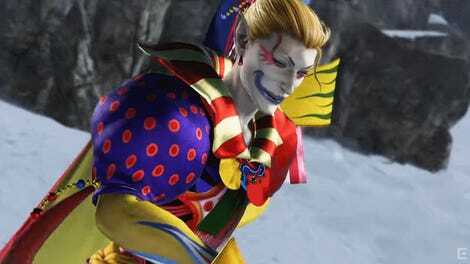 2015’s Dissidia Final Fantasy shook things up even more by eschewing the traditionally one-on-one gameplay for team-based, three-on-three combat when it launched in arcades, and the upcoming NT release hopes to do the same on PlayStation 4. Square Enix also made changes in development. Instead of continuing to craft the series in-house, it tapped Team Ninja, which applied its expertise developing 3D fighting game franchise Dead or Alive to make Dissidia Final Fantasy a more competitive experience than past installments. The fighting game community took notice of these efforts and have responded favorably, showing up in droves to compete in exhibitions at Evo and SoCal Regionals last year. Square Enix invited players from a vast collection of competitive backgrounds—including Marvel vs. Capcom, BlazBlue, Guilty Gear, Tekken, and Super Smash Bros.—to the Dissidia Final Fantasy NT Fantasy Finals tournament. Due to its format as a three-on-three game split across six separate setups, broadcasting Dissidia Final Fantasy NT is a much more involved process than, say, sharing a Street Fighter V match with the world. As such, the production team for the finals broadcast Wednesday night decided to allocate one stream setup apiece to each team, meaning there would be two opposing viewpoints available at any one time. Unfortunately, this meant the broadcast had a seriously constrained vantage point on the competition. It’s not often I think the fighting game community should emulate games like League of Legends and Dota 2, but Dissidia Final Fantasy NT clearly calls for more extensive streaming arrangement. Without the ability to take an overhead view of the battlefield available in-game, the next best choice is to ensure live productions have the ability to jump to all six setups at their disposal as to not miss out on the most important moments. During the Dissidia Final Fantasy NT Fantasy Finals, for instance, the very last kill of the tense grand finals match was missed completely due to the event’s tunnel-visioned streaming capabilities when it happened at the opposite end of a long map. Dissidia Final Fantasy NT is a complicated game for spectators. The heads-up display is a complete mess of numbers and symbols that looks like something out of The Matrix before you sit down and learn how the game is played. While this becomes less of an issue the more you understand about the flow of a match, newcomers could rightfully take one look at this hellscape and check out. It might seem like a more sophisticated broadcast would complicate things further, but the ability to keep streams focused on the most critical moments of a match would help commentators direct viewers with less-than-intimate knowledge of the game towards important details. Despite their continued presence in niche communities, arena fighters have yet to find much of a foothold in the greater fighting game community. With Dissidia Final Fantasy NT, the sub-genre has maybe its best chance to reach a wider audience, both because of the popularity of the source material and the support it’s received from its developers. This is a prime opportunity that needs to be handled with care, and the perfect place to start cultivating a larger audience is through a more informative and refined viewing experience. Ian Walker loves fighting games and writing about them. You can find him on Twitter at@iantothemax.